Last weekend we had a little caravan holiday booked in North Wales. We packed up the car until it was fit to burst and set off on the motorway to Talacre. 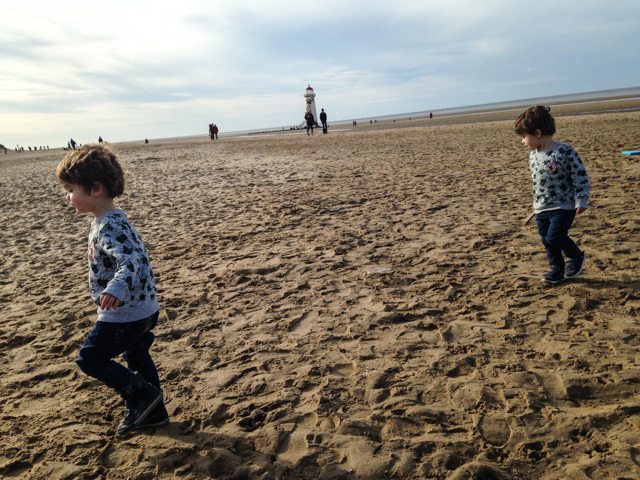 We were invited to Talacre Beach Holiday Park last year to review the site and had such a fantastic time my mum booked us in for a little break again. It couldn’t have come at a better time really as Lucas has had this horrible virus for weeks, we’d been stuck indoors and he was just starting to recover enough to enjoy the break. We still took it easy, he wasn’t fit for lots of walking or activity which gave us the perfect excuse for lazy mornings and we didn’t venture far from the caravan park but that suited us just fine. While we were there I said to my husband how nice it was to go and do it without thinking about capturing perfect photos and seeing everything to make sure I could review it, as amazing it is to have the opportunity to review a holiday I am always aware that I’m there to give my opinion and write up a post. Instead this time we just went with the flow. I took a few photos but not many and I had enough video clips to put together a little video of the weekend but that is more for us to look back on that anything else. 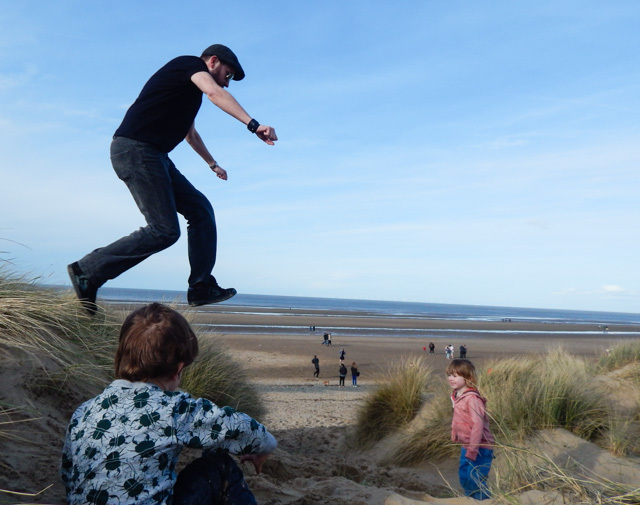 It’s a funny place really, Talacre, as there isn’t much there but that is part of the reason I love it. 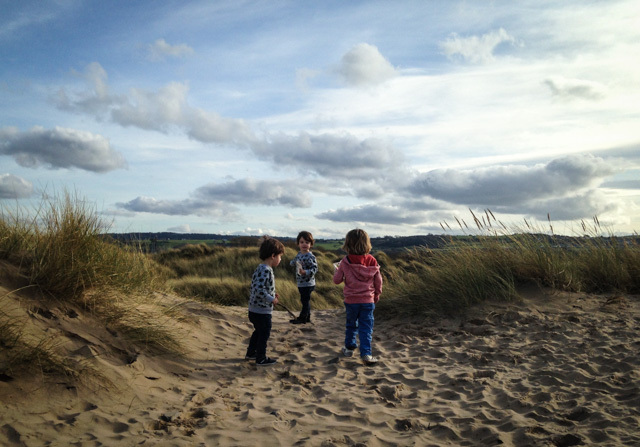 The beach is genuinely one of my favourites, we used to visit it of an evening when we lived in North Wales, way before children came along. Next to the beach there is a chip shop, ice cream parlour, bakery and a couple of amusement arcades. I was lovely to be able to buy a couple of fresh cakes then go and cosy up in the caravan on a rainy afternoon. The site itself has a great looking pool, restaurant, bar and even a spa now but with it being the bank holiday weekend they were very busy so we tended to avoid those areas. Needless to say the weekend was just what we needed; it was totally relaxing and I loved just being able to be with my husband and the boys without any of the stresses at home. We laughed so much just watching the twins, the squabbles don’t magically stop when we are on holiday but it doesn’t matter, just being somewhere different makes it feel like a break. I think without all the extra distractions at home we just enjoy them more, watching them playing and chatting and taking in all that they are doing. I could almost physically feel myself decompressing, slowing down and my mind just clearing. It just made me feel really, really happy. The beautiful beach, brief glimpses of sun, fresh air and the biggest vanilla slices I’ve ever seen obviously helped too! 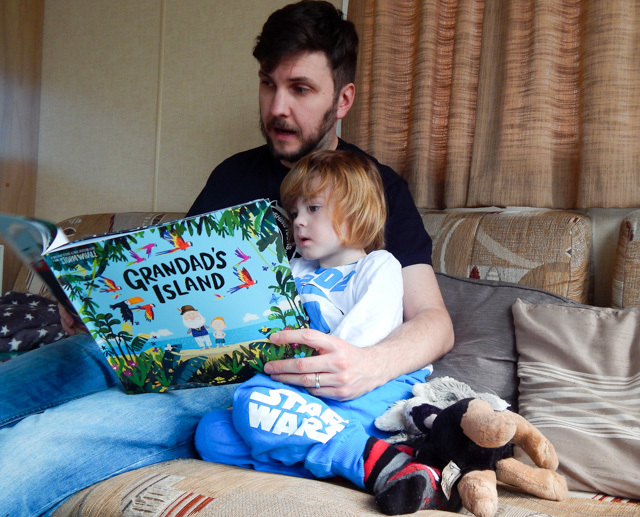 The boys just absolutely love being in a caravan, I think most adults keep hold of fond memories of caravan holidays from their childhood and they just seem to hold such a simple joy for little ones. 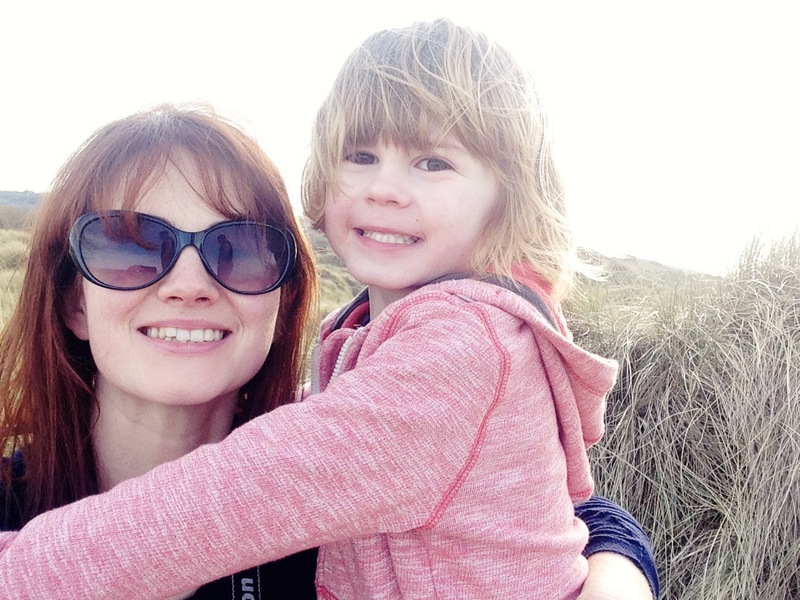 We had a lot of tears on the morning we were leaving, I think Lucas would live in a caravan year round if he could, but it is somewhere we have made some special family memories and hopefully somewhere we will be back again. 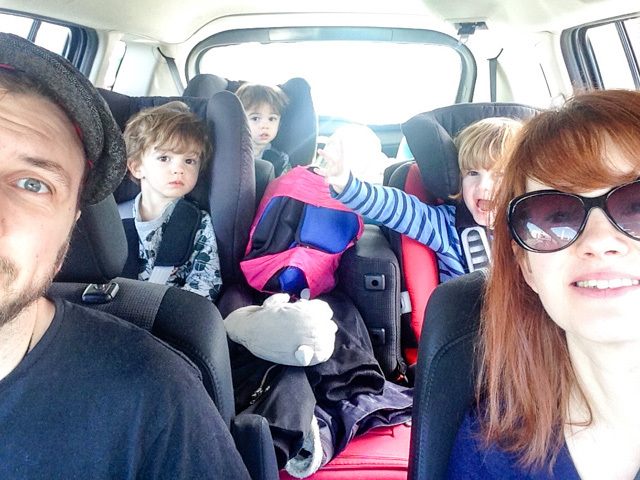 Quick family car selfie before we started our road trip. 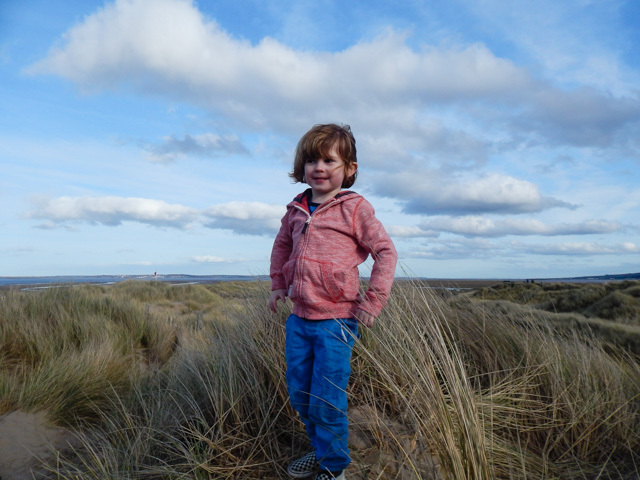 A sunny afternoon spent on Talacre Beach. Hunting for shells on the beach but we came away with buckets full of rocks and stones. 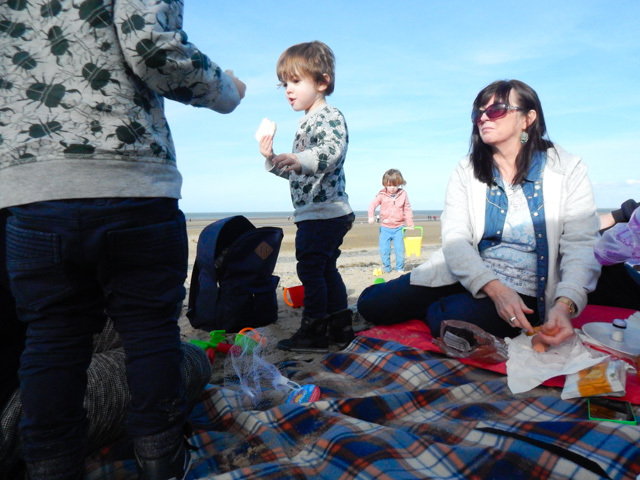 A beach picnic, it was gloriously sunny but still a little cold – we didn’t venture as far as the sea. 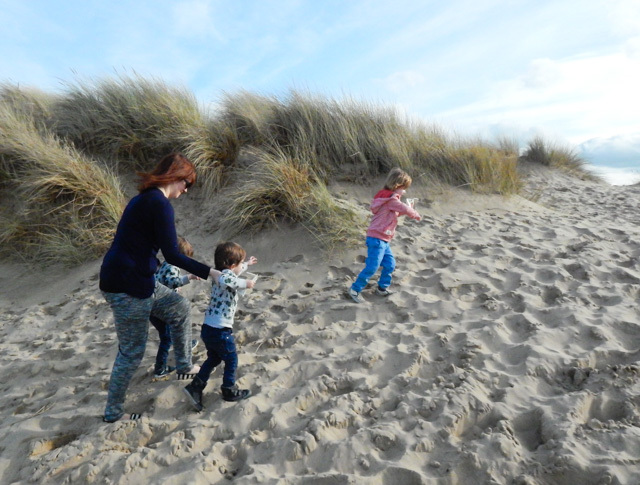 We took the boys up into the sand dunes but little legs weren’t too sure about the climb in the sand. The boys loved exploring at the top though. 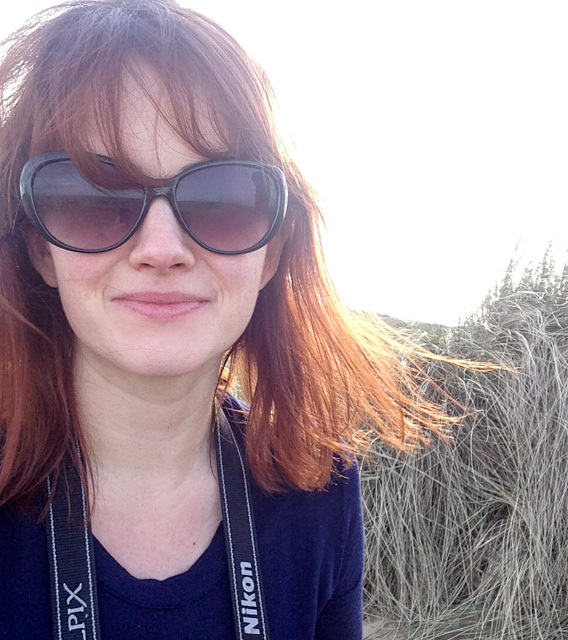 Selfie as the light was so lovely at the top of the dunes. And another with Lucas – this might be my favourite as he gave me a great big hug and smile. Daddy was trying to encourage the leaping but the boys were happy just to roll down. 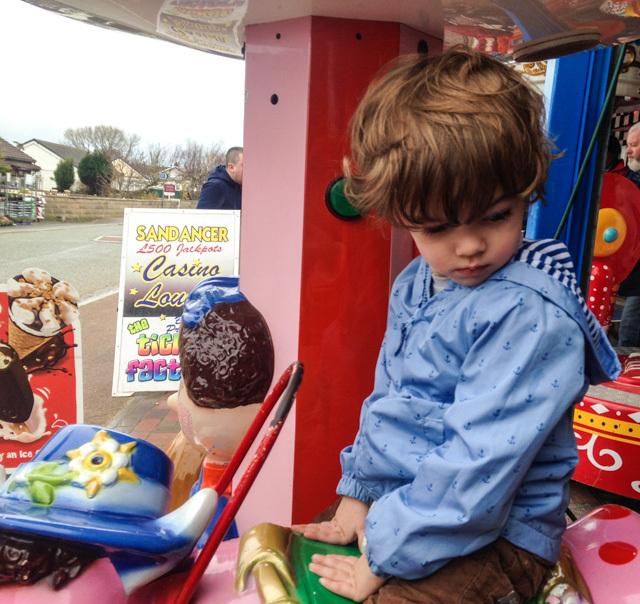 A trip to the seaside isn’t complete without a go on the 2p machines – we won enough tickets for 7 lollipops! After pestering to go on the ride Bear was most unimpressed with it all. 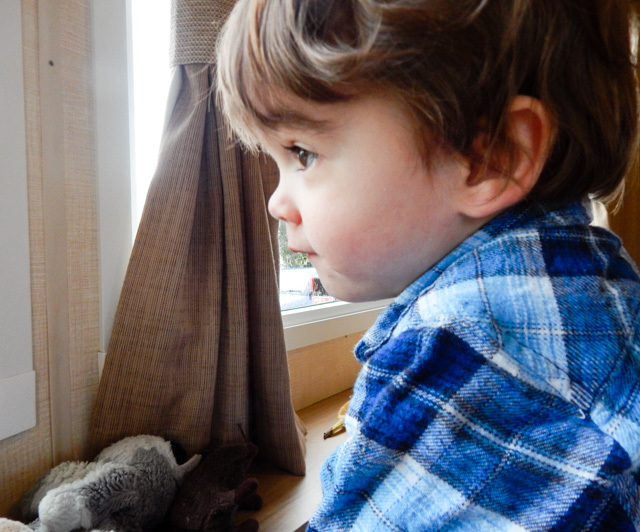 Boo watching the rain from the caravan windows. 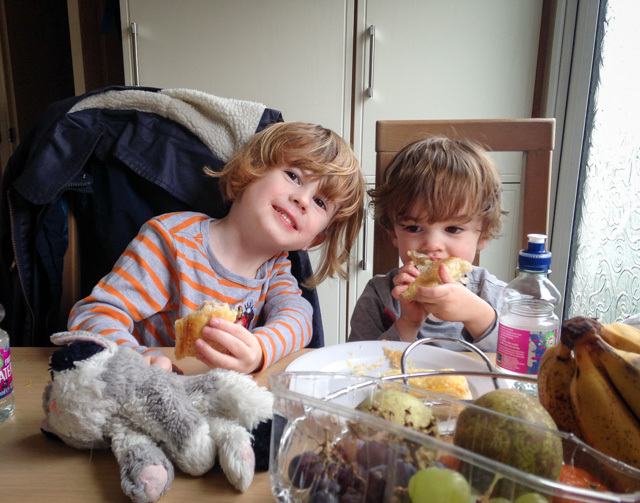 Cosy lunchtimes indoors were our favourites. Followed by lovely, snuggley bedtime stories. Here is the video of our long bank holiday weekend away, hope you enjoy! Looks like this was just what you needed! We were actually talking about booking a summer holiday in one of the caravans at Talacre and I think reading this has confirmed that this is what we will do. That beach with the lighthouse and sandcastles looks idyllic. 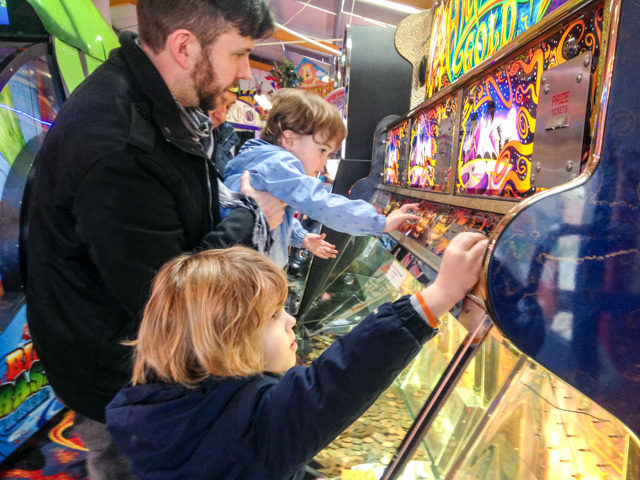 My husband and girls are huge fans of the 2p machines too! Just had to revisit this post in preparation for going there tomorrow. So excited!